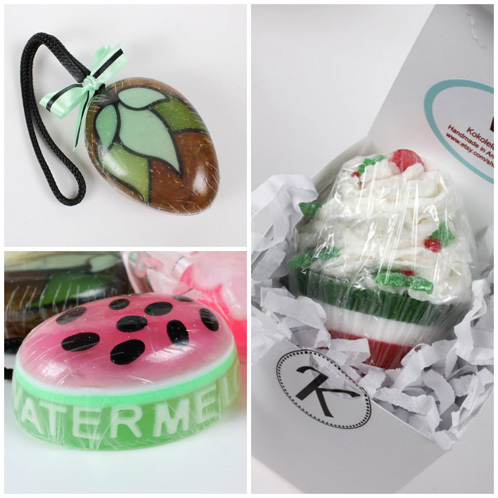 Soap Queen: I love your cute little gift boxes that you send your soap in! As a bonus, they keep your products safe in transit. 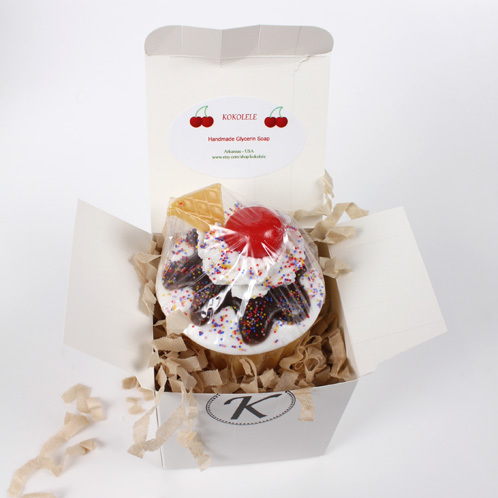 Where does your packaging inspiration come from? Ever since I was a young girl, my mother always told me, ‘If you are going to do something, there are two ways to do it. The good way or the bad way. You have to decide which one. Never do something fast, just to have be done quickly. Choose the right way, and always take your time.’ I have been soaping all of my life and I try to best I can (thanks mom). My packaging inspiration comes from the determination to makes things right and imagining the look on my customers faces when they open up their packages! Soap Queen: You have a very unique way of making melt and pour soap. What made you decide to go with Melt & Pour over Cold Process? I have been making crafts my entire life, and I always like to keep creating things that more unique and different. With melt and pour, I can make thousands of designs and not have to worry about the batch going bad. You can cut it so many different ways and you can always remelt it if it doesn’t turn out how you were expecting, and I really enjoy the freedom and fun that comes from making melt & pour soaps. Soap Queen:I adore your 3D soaps and their exquisite detail; where did the idea for that come from? This idea actually came from someone who works at Bramble Berry (thanks Becky). One day I bought a 3D mold on a whim and went and posted on Bramble Berry’s Facebook page about it. I was told that I would just love these molds, and boy were they was right. When it arrived, I looked at and began to brainstorm about all the new, fun and crazy things that I could do with. At first, I thought about making soap on a rope, but then realized everyone was already doing that. I then realized I loved fabric and trimmings and realized that these things could be used in soap to create a beautiful piece of art. Ever since then, I’ve been ordering the 3D molds from Bramble Berry. My favorite so far are the pear, rectangle, and oval ones. This eventually lead to me creating my Latin Collection line which has been such a big success for. In fact, the most recent Latin Collection order I have filled is for over 300 soaps to be sent overseas, all made with Bramble Berry’s 3D Molds. Soap Queen:What is your favorite Bramble Berry product? This is such a difficult question and you can’t imagine how many hours I spend looking at your website. I love everything on there (even the products I haven’t used yet). If I had to pick one to be my favorite it would have to be the 25 lbs. of M&P Premium Soap Bases. I adore those big blocks because it challenges me to think about all the different types of soaps that I could make with just one block. 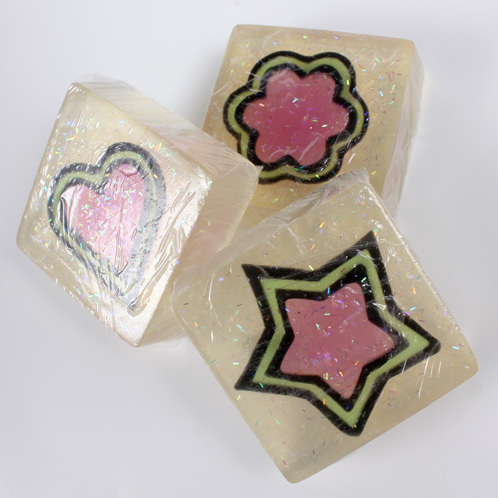 Soap Queen:You have so many incredible designs and ideas for your soaps, which one is your current favorite? My 3D mold collection has to be my new favorite and I love using Bramble Berry’s 3D molds because I am able to create so many different designs with them. 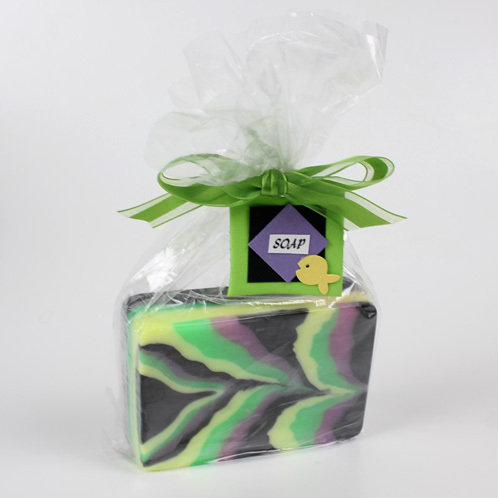 Soap Queen: If you could share anything with other M&P soapers, what would it be? Everything! I’m always sharing everything that I know with my customers. When they ask me where I get my molds and bases, I tell them (I love Bramble Berry). I always try to give them instructions and share with them how I’ve made my soap. I do this because I remember when I first started and I had someone known as the Soap Queen help me out taught me to grow as a soaper. If you want to know how I make my soaps (or how others do), don’t hesitate to ask, many of us are willing to share what we are doing because we remember what it was like to be a beginning soaper. Thanks for chatting with us, Maria! Be sure to check out Maria’s Etsy shop and stop by her Pinterest page for some super soapy inspiration. She is so talented! Love her products on Etsy. Where can I purchase those large single flower molds that she sells on Etsy. I would like to try making soap gift sets too. I especially love the big 6 petal one. I agree, I just love her soaps! Maria you are my soap idol,love everything you do, so much talent. I look forward to seeing many more of your amazing creations. Iam still baffled with how you do it lol I can sit and stare at your designs for a long time scratching my head trying to work out how you done it. Keep up these amazing work. Yes I am seen Maria’s very odd, strange looking 3D soaps. Honestly they look horrible however everyone is entitled to their own thoughts. Yea Maria! She also posts a lot to the Melt and Pour FB page! I’m always in awe of her creations!! Now I see her packaging makes it even more amazing! Thanks for sharing this amazing artist! Maria is wonderful! I contacted her almost two years ago because I was enamored with her lovely soaps! I was afraid she wouldn’t be sharing her trade secrets, but she answered every question I asked, even though she is a busy, busy lady!!! Out of the blue, she wrote me a month ago to ask how I was doing! So surprised! I traded her wisdom in all things soap for some crayon templates and she is actually using them! Ha! Ha! Anyway, she got me on my way with JennyLiz Aromatics, Ltd., and my business grows every year!!! Thanks Maria!!! Do you have classes to learn how to do so pretty? We absolutely love Maria’s M&P (Melt & Pour) soaps and were so excited when we were able to feature her (and her soaps) in a blog post on the blog. If you are looking to learn more about M&P soaping and all the fun things you can do with it, check out this link for tutorials, hints and tips and lots of soapy inspiration. Maria is an absolutely delightful person! Her talent and creativity are amazing. 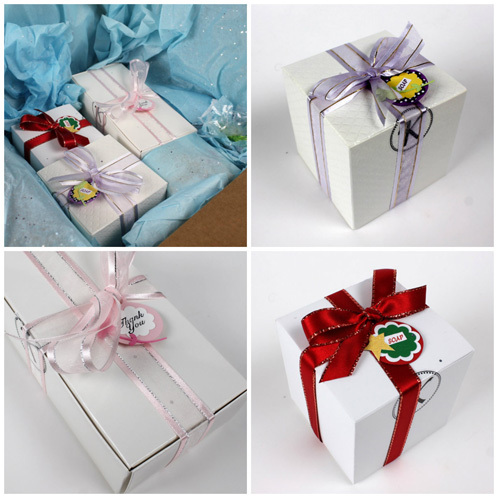 Her packaging and presentation photos are professional. I can’t use melt and pour on my skin but when I saw Maria’s soaps for the first time..WOW!!!! I sure fantasized about doing exactly that! I am amazed at the creativity she has with such essentially basic ingredients. I will most likely wind up buying some of her delicious creations and maybe just sorta staring at them wistfully. Lol. Have you tried our more mild melt and pour bases like the Aloe, Honey and Goat’s Milk? I’ve found them to be great for my sensitive skin. Beautiful Woman – Beautiful Soaps both inside and out.